All BLUEGRASS homes currently listed for sale in Boerne as of 04/20/2019 are shown below. You can change the search criteria at any time by pressing the 'Change Search' button below. 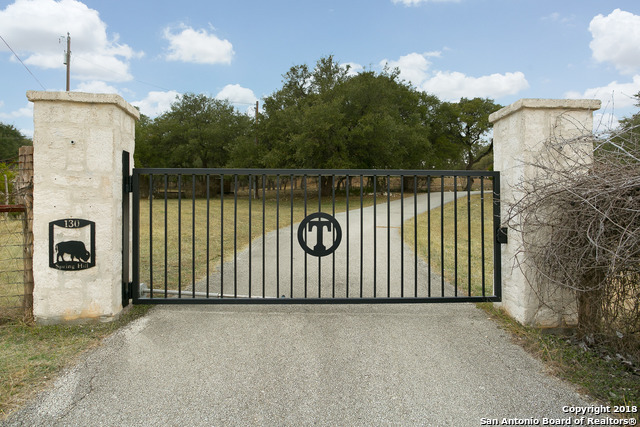 "One of a kind luxury barndominium treasure that's about 2 miles to IH-10 and 4 miles to Downtown Boerne. Electric Gate*LARGE family, kitchen and master suite*2 ovens, 2 refrigerators, custom cabinets w/pullout drawers*LARGE kitchen island has reclaimed bowling alley wood*BIG rock fireplace*3 lead glass double entry doors*2 lead glass interior doors*Office w/second lvg space or library, looks out onto the four 12'x12' stalls with 60' runs*Feed & tack, shop, storage*2 covered patios*Amazing Oaks"
"Don't miss this epitome of the Hill Country Lifestyle! SINGLE STORY- 4 bd. /3 bath home with big front porch to catch breezes on over 4 acres with a HORSE BARN WITH QUARTERS-fenced & cross-fenced! Lots of tile & open rooms with a huge kitchen-all new appliances,water soft. & RO sys., cust. cabinets, crown mold. & more. Big living w/ beautiful rock fireplace & shelf accents-private bdrm/bath, slate shower/bath surround in master. 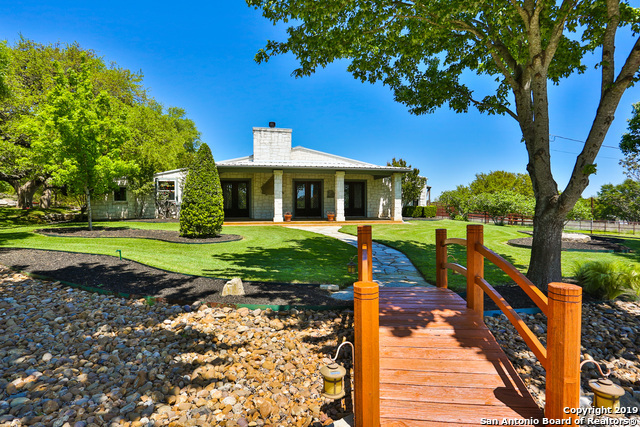 GREAT HORSE PROPERTY, waterfall pond by front porch. Newly painted"